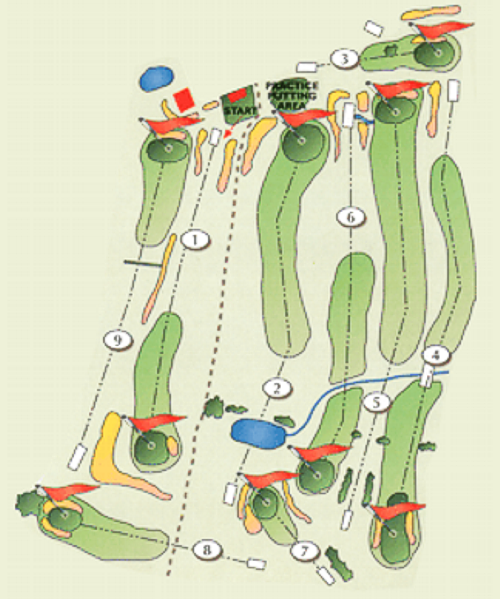 Opened in May 2006 we have our own purpose built 9 hole golf course - 6 par fours and 3 par threes. This is suitable for all standards of golfer from the experienced to the beginner. The course is open to residents and non-residents alike on a pay & play basis. Please call us (01924 830 156) to arrange tee off times. We cater for the Golfing Holiday. Why not visit for the weekend and get a few rounds of golf in while you are here. Please ring (01924 830 156) for details of our weekend golf packages. We also have a fully licensed bar so you can enjoy a meal and a drink or two at the 19th Hole!